The view, the quietness, the quality, the proximity to the center of Skala and the helpfulness of Yvonne and her parents. Το δωμάτιο παρείχε τα πάντα πολύ καθαρό ευγενικοί και εξυπηρετικοί οικοδεσπότες!!! το δωμάτιο ήταν πραγματικά πάρα πολύ καλό! !όλα ήταν άψογα!η κυρία Υβόννη μας πήρε από το λιμάνι , παρόλο που φτάσαμε αργά,είμασταν σε επικοινωνία συνέχεια, προσφέρθηκε πολύ να μας εξυπηρετήσει και την ευχαριστούμε! το δωμάτιο είχε πάρα πολλές ανέσεις! φουλ εξοπλισμένο κουζινάκι με σκεύη,μέχρι και χτυπητήρι για φραπέ,μηχανή για γαλλικό ,καλαθάκι με πρωινά ροφήματα (τσάι,νεσκαφέ,ζάχαρες),χυμό και νερό στο ψυγείο...Πολύ ωραία θέα!! ωραίο ηλιοβασίλεμα! !Πολύ κοντά στην Σκάλα και εξυπηρετικό σημείο! Ευχαριστούμε πολύ για την διαμονή ,θα σας προτιμήσουμε! La proprietaria è disponibile, gentile e discreta: ci è venuta a prendere al porto, ci ha fornito il necessario per la colazione, ci ha persino lasciato un omaggio alla partenza! Ha gestito lei il pagamento tramite carta: non abbiamo dovuto nemmeno pensare a quello! La camera era spaziosa, ben equipaggiata e con un bel terrazzo con sdraio e vista su mare, Sjaka e Chora. Le pulizie vengono eseguite ogni giorno, con cambio biancheria. La posizione, infine, è strategica: una scalinata immette direttamente su una strada che in 3 minuti porta alla zona pedonale. Per chi cerca una sistemazione tradizionale in domatio (studio), questa è un’ottima soluzione! Πολυ ευγενικοί άνθρωποι!Τυπικοί σε όλα!Ταχυτητα Ίντερνετ 10 και πανω(με εξέπληξε θετικά).Αν ξανά παμε Πάτμο σίγουρα θα διαλέξουμε το Υβόννη!Καλη διαμονή σε όλους!Να το διαλέξετε οπωσδηποτε! Nous avons aimé l'emplacement et la gentillesse d'Yvonne la propriétaire. 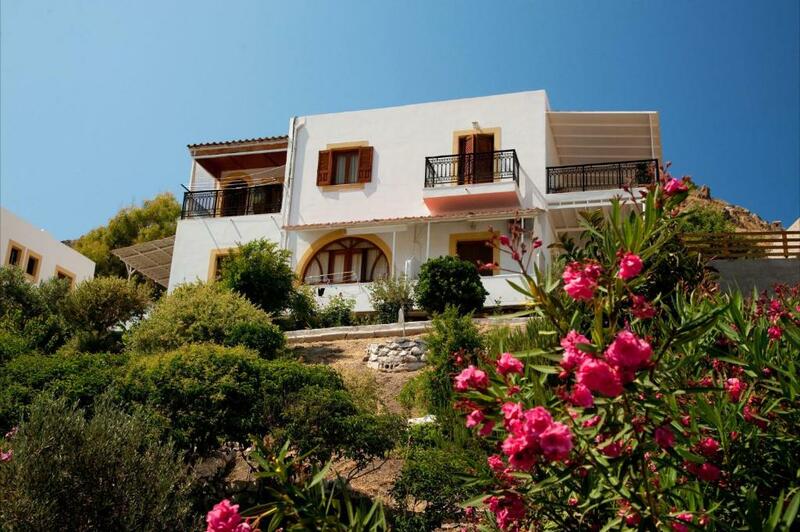 Lock in a great price for Yvonni Studios – rated 9.5 by recent guests! 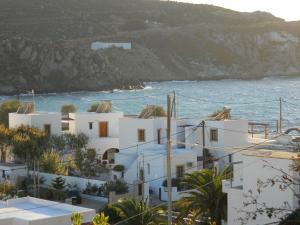 Located in Patmos, Yvonni Studios provides self-catering accommodations with a terrace and free WiFi. Guests staying at this apartment can use the fully equipped kitchen. 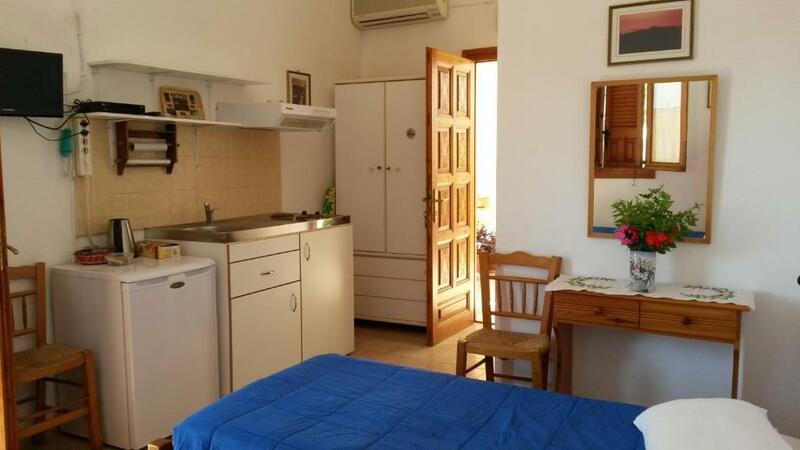 This air-conditioned apartment has a bathroom with a shower and a hair dryer. A flat-screen TV is featured. 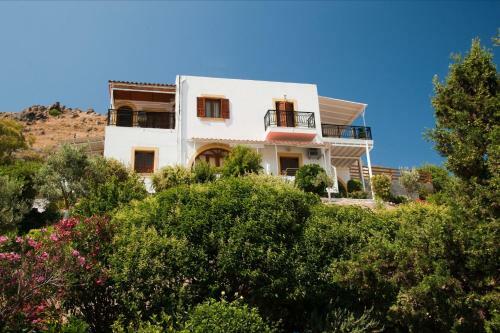 This property is also rated for the best value in Patmos! Guests are getting more for their money when compared to other properties in this city. When would you like to stay at Yvonni Studios? 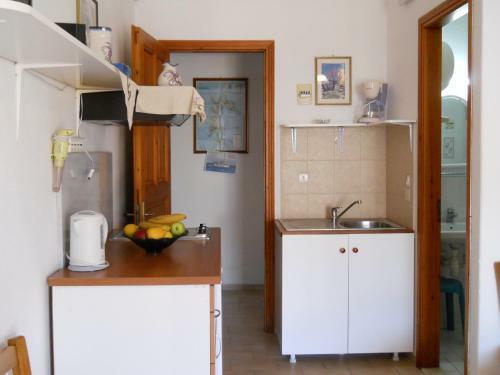 This studio features a kitchenette, tile/marble floor and satellite TV. Yvonni studios have been operating since 1994. Its a small family business located in a quiet neighbourhood, close to the seaside and a playground. There is a private balcony for each studio which face the seaside where the sun sets, creating different colours in the sky, which means that our guests have the privilege to admire this magical moment of the day. Hi there! My name is Yvonne Kamitsi I am 35 yrs old and I am the manager of our small business. 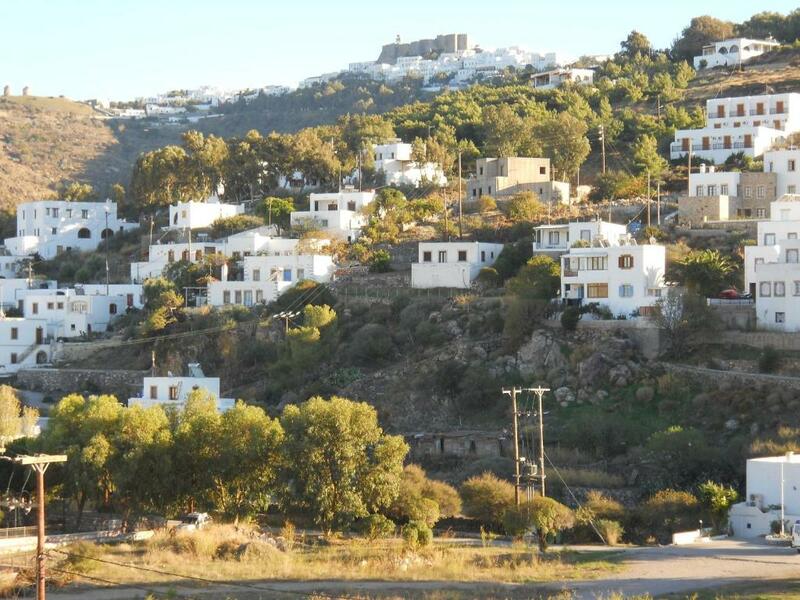 Born in NSW Australia but living on Patmos since the 90's. I am also a TESOL teacher, so I Teach English as a Second Language to the locals. My parents and I though have always been involved in the hospitality industry, even while we were I Australia, so we understand the importance of offering genuine hospitality. In other words ''Greek Hospitality". House Rules Yvonni Studios takes special requests – add in the next step! Yvonni Studios accepts these cards and reserves the right to temporarily hold an amount prior to arrival. Please inform Yvonni Studios of your expected arrival time in advance. You can use the Special Requests box when booking, or contact the property directly using the contact details in your confirmation. 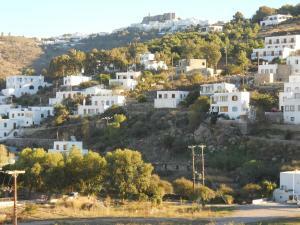 How to get to Yvonni Studios from "Kos International Airport ""Hippocrates"""